Over 3 million EAAB PrivySeals are displayed monthly - are you one of them? By now you should know that your PrivySeal is a digital seal that authenticates your registration status with the Estate Agency Affairs Board in real-time. This seal is added to your email signature, website, property profiles and listings on your Flex website and other various property portals. If you are wondering why you should get one, firstly you should know that it is mandatory and secondly it will help your clients know that they are working with a registered estate agent. And in a world where so many people are distrusting of real estate agents due to unfortunate events, this can mean the difference between getting a client or not. The important information appearing on the PrivySeal enables consumers, at a glance, to verify the knowledge and experience of any estate agent. The seal not only reflects your registration status at the EAAB, it also shows your skill level. Consumers can ascertain the current registration status of an estate agent given that estate agents may be interns, full status non-principals, full status non-principals who have earned the designation of Professional Practitioner in Real Estate (PPRE), principal estate agents, or principal estate agents who have earned the designation Master Practitioner in Real Estate (MPRE). The use of PrivySeal also creates trust in the minds of consumers by showcasing the legal compliance status of estate agents. It is important that all property consumers are aware and know to check on an estate agent’s communication that they have their respective Privyseal displayed and that a registered Estate Agent’s PrivySeal must display the current date and time. Entegral’s OMS solution allows you to not only configure your social media links but also your PrivySeal. 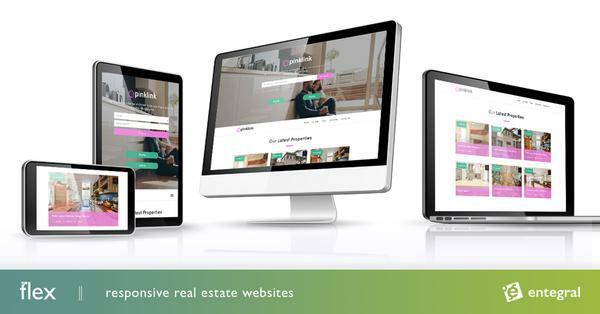 Contact us today to find out how you can get your own responsive real estate website and how our Office Management System will help you change the way you do business. Great article Annali. Had some initial chats with Stephen Logan regarding connecting it with our Email Media solution as we have a big overlap of clients. Imagine those emails were branding that could have driven traffic to their profiles on your OMS platform.